Ahead of the Open-ended working group of the Basel Convention (September 2018), EuRIC - the European Recycling Industry’s Confederation – is pleased to share the following comments on the low POP content limit value for decaBDE in waste. EuRIC, the European Recycling Industries’ Confederation, and ETRA, the European Tyre Recycling Association, are pleased to announce their Partner Membership. EuRIC welcomes the adoption of Revised Waste Framework Legislation and calls for proper implementation. EuRIC, the European Recycling Industries’ Confederation, is substantially concerned by the proposal made by the Netherlands for harmonized classification of Cobalt metal. The proposal as it stands will significantly disrupt the value chain for steel, be it stainless or carbon steel, as well as for specialty alloys and will have a very negative impact on their recycling. EuRIC was proud to attend the first kick-off meeting of this Green Deal aiming to make shimpments of secondary raw materials faster and easier. ‘Fast-Tracks’ is the fifth case for the International Green Deal North Sea Resources Roundabout (NSRR) - after compost, PVC and non-ferrous metals from bottom ash and struvite. The case, initiated by Müller-Guttenbrunn GmbH and HKS Metals deals with the concept of ‘Fast-Tracks’ for WEEE: making shipments to compliant EU WEEE recyclers easier and faster. Article 14 of the European Waste Shipment Regulation provides ample basis for the concept of ‘Fast-Track Notification’, but implementation can be improved. For this case Flemish, French, UK and Dutch public and private sector experts are joined by Austrian colleagues to explore possibilities for commonly accepted criteria for pre-consents and mutual accepted processes, amongst other things. The Commission (DGENV) is following the case as an observer. 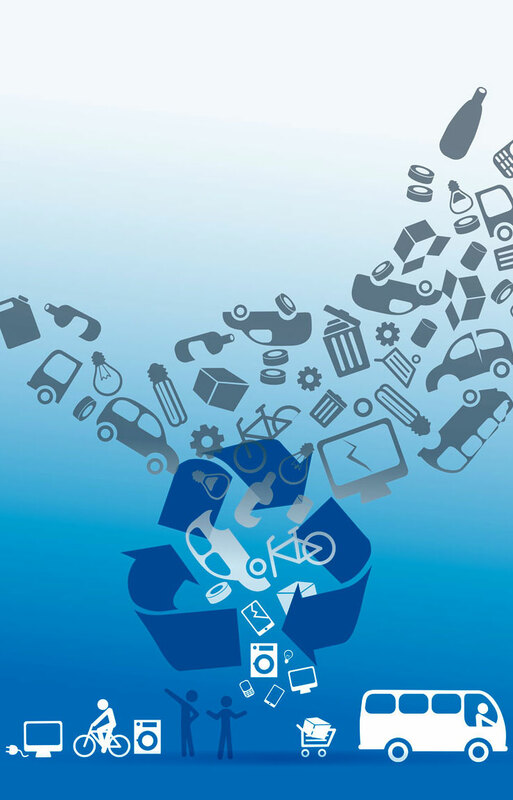 EuRIC welcomes the introduction of the roadmap laying down the European Commission’s “Strategy on plastics in a circular economy” (‘the communication’). As outlined in ‘the communication’, plastics is an important material for the economy, and the next great challenge will be to decouple its production from fossil feedstocks. To achieve such an objective, plastic recycling is the only solution, but it faces a number of obstacles that different policy actions must alleviate. The European Recycling Industries’ Confederation (EuRIC) sees substantial room for improvement in the method chosen by the European Parliament to measure recycling rates.